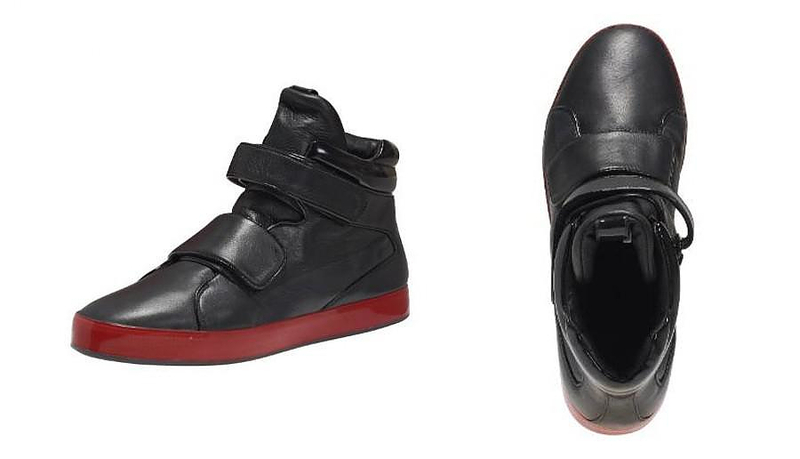 HomeBlogFashion & StyleUrban Highlander Sneakers by Hussein Chalayan for Puma. It has been a while since Puma, the famous sports accessories manufacturer has started asking famous designers of the fashion world to create exclusive collections. Most of these collaborations have produced amazing results that certainly stand out from the mass produced sports products we are used to. 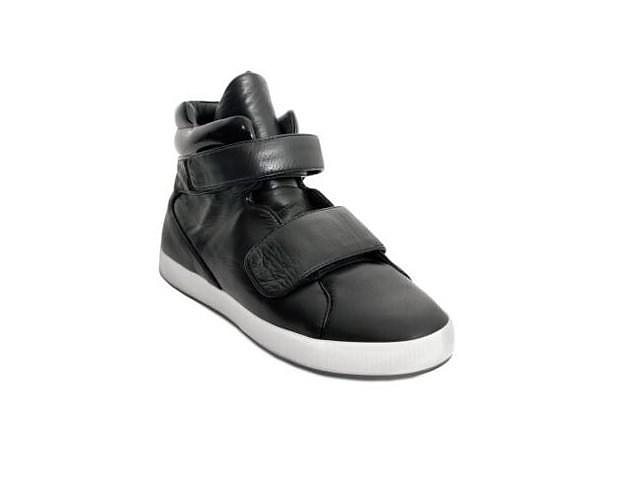 One of these results is the Urban Mobility Series that includes the Urban Highlander leather sneakers. After successful collaboration with designers as Mihara Yasuhiro, Philippe Starck, Jil Sander, Zaha Hadid, Neill Barrett and Alexander McQueen, this year Puma chose Hussein Chalayan. 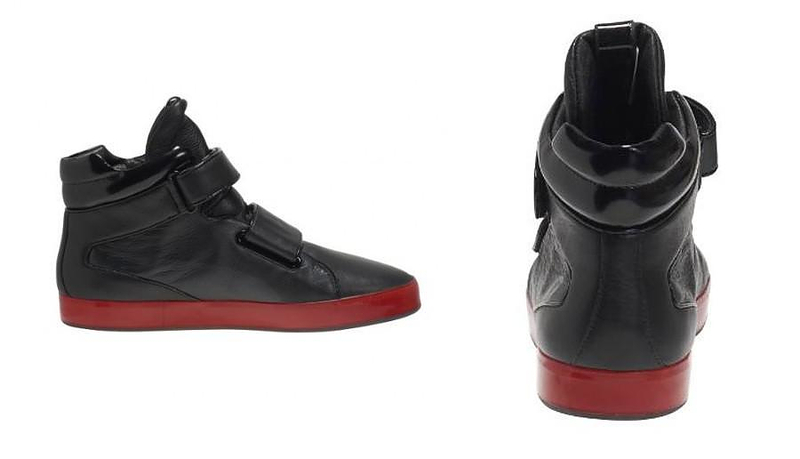 Chalayan designed a complete collection under the name Puma Urban Mobility. The collection includes t-shirts, jackets, bags and ,of course, shoes. 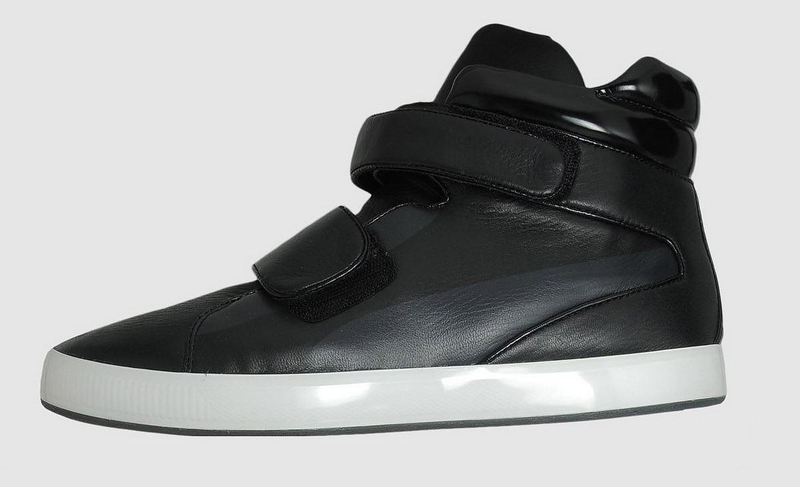 We picked the Puma Urban Highlander leather sneakers from the winter collection. 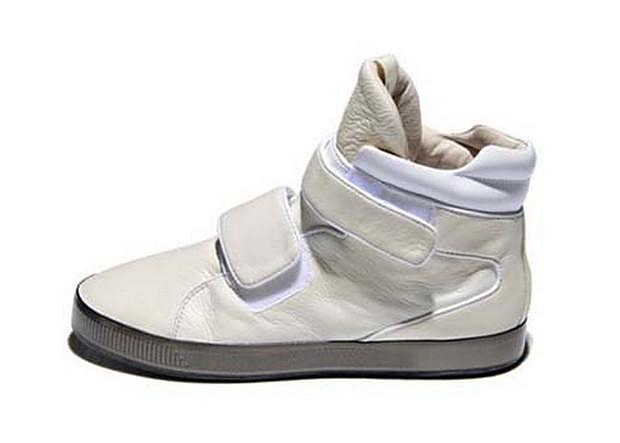 The Urban Highlander sneakers looks like the kind of futuristic shoe Michael J Fox would wear in the Back to the Future movie. 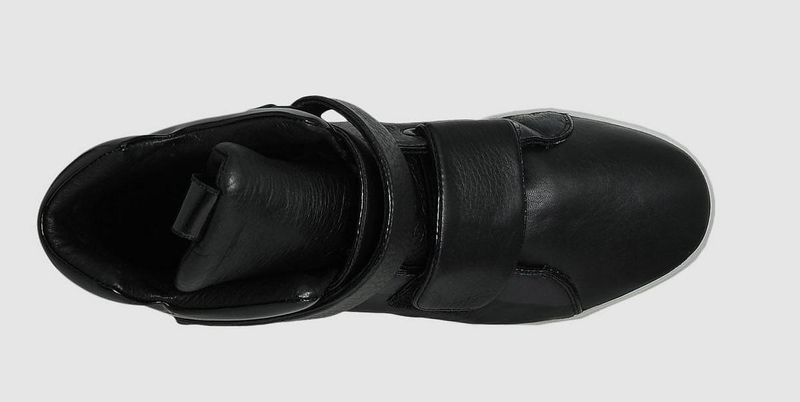 Hussein Chalayan successfully combines the 80’s “space” aesthetics with contemporary design, creating a nostalgically futuristic design that resurrects the Velcro strip. The Urban Highlander sneakers are as comfortable as regular sneakers, yet not meant to be used for sport activities. Ideal for clubbing their quality is higher of the mainstream sports shoe, as they use genuine Nappa Leather, inside and outside. When most shoes are currently made of synthetic materials, the effort of a large sports company to make something with high quality materials certainly finds me in accord. 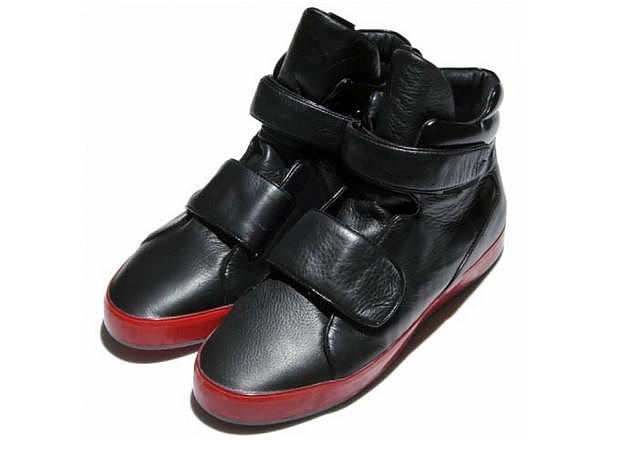 Of course, the Urban Highlander sneakers are fashion shoes and not athletic sneakers. 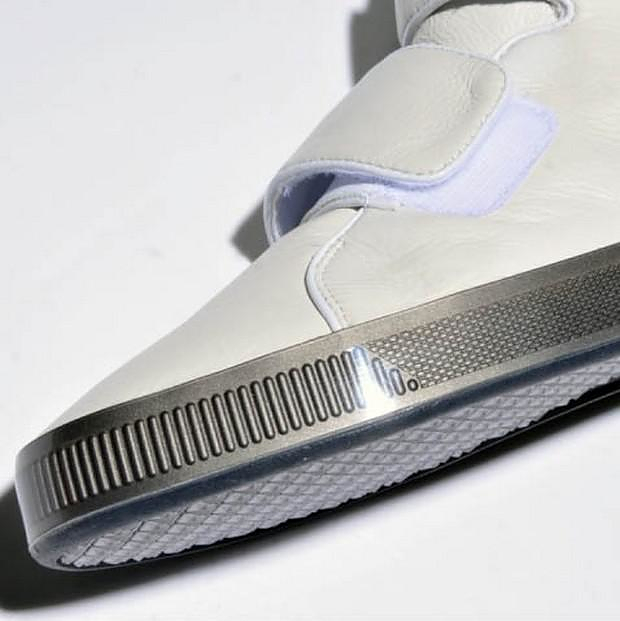 Despite this fact I believe that Chalayan managed to maintain the sense of comfort of a trainer shoe by using the Velcro strips and the high back part. The polished leather adds a luxurious look to the overall result. 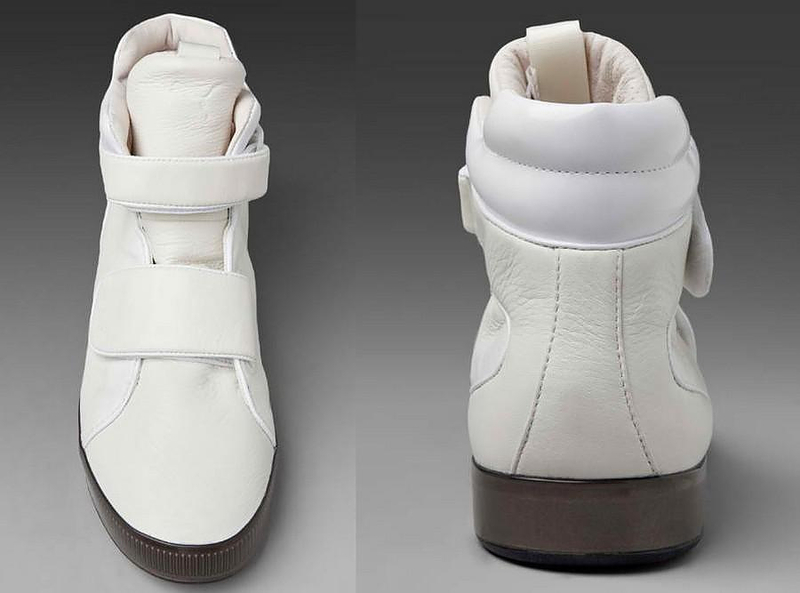 The Urban Highlander shoes are available in white and black color to match with white, red, or brown vulcanized sole.